To achieve these aims we have a programme of speakers, events and exhibitions. 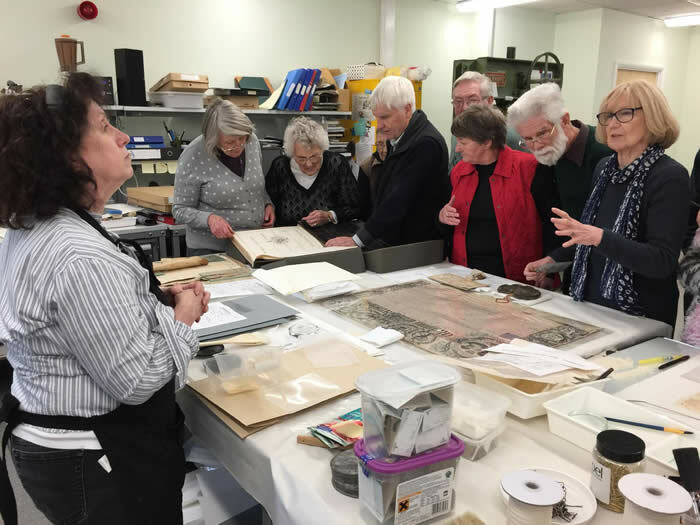 We organise visits and carry out research, scan photographs and record memories. We are now a registered charity. It had been the wish of many in Monkton to set up a Local History Society as Monkton is very much a 'hidden history' - there is so little published. 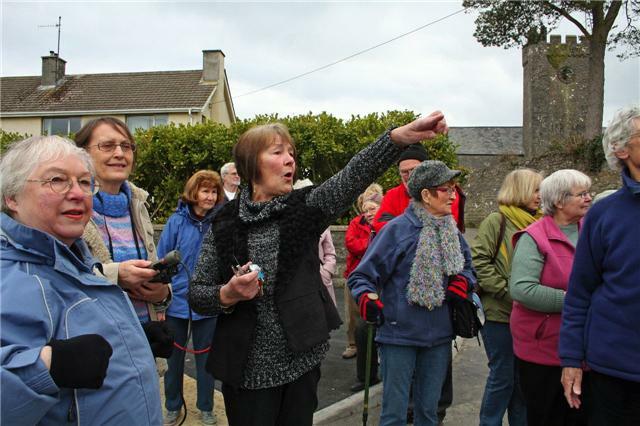 So we launched the Monkton History Project by organising a walk through Monkton with Pauline Waters, Vera John and Dot Lloyd who were able to tell us about the old community, who lived there and where the shops and businesses were. 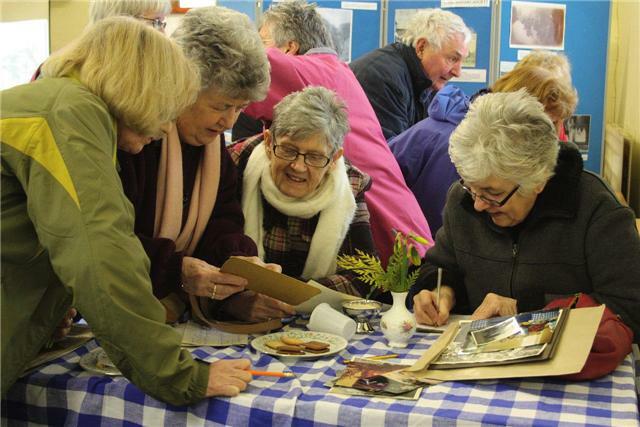 Many people responded to our appeal for information, photos and memories of old Monkton and we combined the event with a coffee morning and exhibition in the Priory Church Hall. We were delighted with the response as so many people came and it was a wonderful community affair. 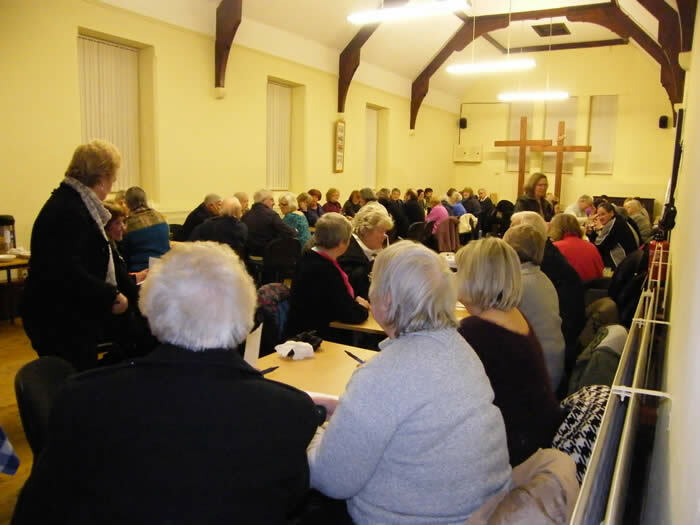 We made the Church Hall our base for future events, establishing a pattern of monthly talks accompanied by coffee mornings, accompanied by an exhibition on differing topics to encourage community participation: reminiscing over coffee in a friendly atmosphere is a great way to bring people together! 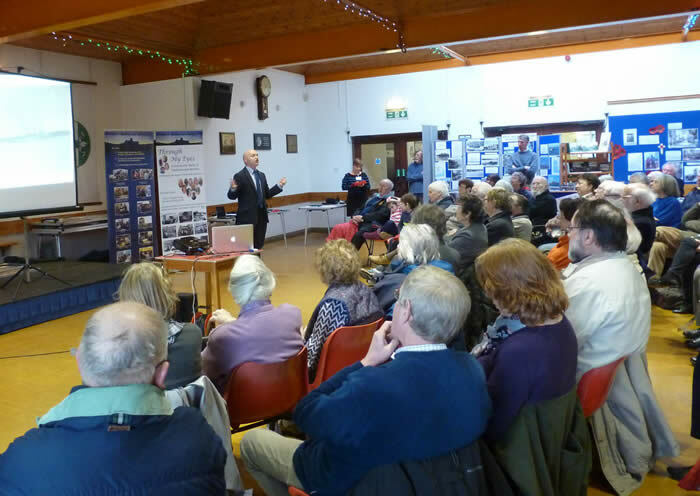 We also hold larger events in Pembroke Town Hall which usually attract a big audience. We are completely voluntary and noone makes monetary gain - every penny of funding goes into the organisation for the benefit of the community. 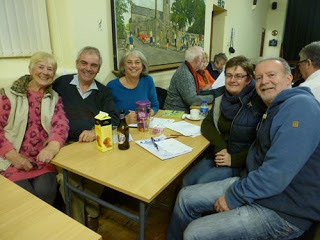 To cover running costs we fundraise ourselves in our coffee mornings and Quiz Nights. We have now been going eight years and it is amazing how we have progressed since then and what a great impact we have made. We have received awards for our volunteering work and a Civic Award from Pembroke Town Council. We are now a registered charity. We have an annual programme of events, which is available to download. We organise Local History Coffee Mornings in Pembroke Town Hall, evening talks and fundraising events in Monkton Church Hall and organise visits. We have to raise money in order to run events and put on our exhibitions - we do this with our regular Coffee Mornings and Quiz Nights and the odd Murder Mystery Night as well. 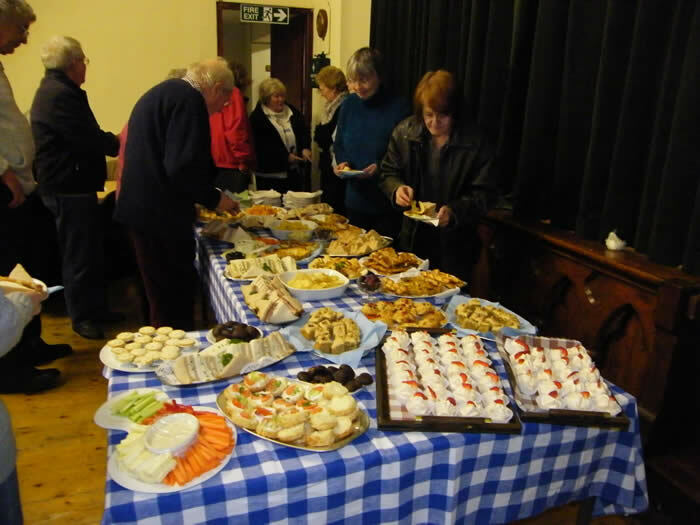 Our events are free (financed through sale of coffees and raffle tickets) but we do supply a rather superb buffet at the Quiz Nights for which we make a charge of £4. Organised by Pauline Waters, they are a thoroughly enjoyable social evening and continue to be very popular. We never thought when we formed the P & M that we would actually get the opportunity to set up a museum! A museum for Pembroke has long been an aspiration and it is amazing that for a town such as Pembroke, one of the oldest towns in Wales, that this has never happened. Recent attempts through Pembroke 21C failed despite them receiving a large HLF grant. 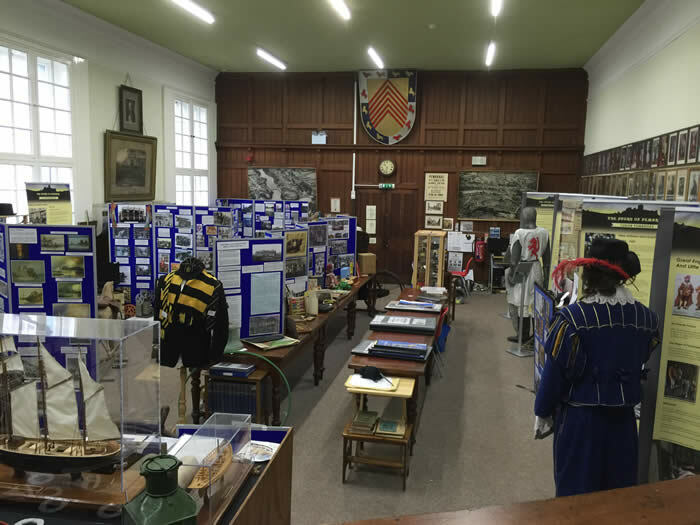 The Museum finally came about through Pembroke Town Council's initiative to set up a Regeneration Committee and sponsoring projects to enhance the town and thereby increase visitor footfall. Pembroke Town Council offered the disused Courtroom in the Town Hall for the Museum and with a £5,000 grant, working also with Pembroke Civic Trust and West Wales Maritime Heritage Society, we were able to put together a fledgling museum which has continued to grow: Now in its 4th year, it is amazing how much we have been able to achieve: it just goes to show what can be achieved with very little funding when people pull together voluntarily for the good of the community. We act as a Friends of the Museum to help fundraise and this is written into our charitable aims. Research is important and we welcome anyone who would join in - there is much work to be done. We began by publishing 2 heritage leaflets: Monkton: a Sense of Place and Pembroke: a Sense of Place with funding from PLANED (see our Publications Page where they are available to download). 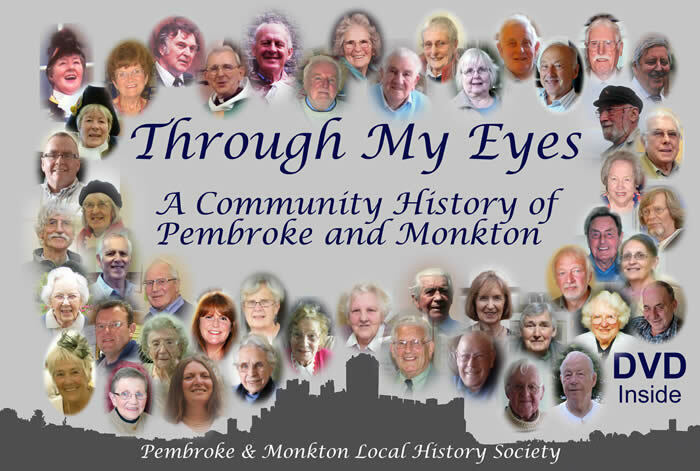 Then our recording of memories led to an interest in digital storytelling which the resultant publication of our DVD and book 'Through My Eyes: a Community History of Pembroke and Monkton'. This is a great achievement and has given Pembroke a sound oral archive which is available to all who wish to purchase or obtain through the public library. Working with the National Library of Wales this project can also be accessed on the People's Collection website. We seek to make ourselves known in the community and hold stalls to support local events and give talks to other organisations. This year has been overshadowed by the tragic loss of our much loved President, George Lewis. George was a great character, talented, generous - a man who worked so hard and selflessly for the community. He was always at the heart of things, a member of so many organisations including ours. George was of course an amazing artist and he lives on through his art: who can fail to be impressed by the wonderful Town Hall murals, a work of many years with his wife, Jeanne. They are an impressive legacy. George became our President in the early years of this Society, was a staunch supporter and active member. 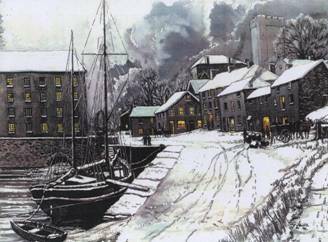 I worked with George on projects including the Monkton and Pembroke ‘Sense of Place’ leaflets and the Town Trail booklet which I wrote and he illustrated. But most of all we miss him as a person who could light up a room with his humour, his anecdotes, his talks which always lasted a lot longer than intended. So greatly missed. Our big project of 2018 was the WW1 project ‘Pembroke Commemorates the Anniversary of the WW1 Centenary: in words, pictures, art and film.’ As reported last year, I was successful in obtaining a Heritage Lottery grant and the project is still ongoing. It was an ambitions project in its scope – and is taking rather longer than anticipated – but we are well on the way. We employed the services of two artists. Pauline Le Britton developed a schools art project while Sharron Harries made a series of films in which members of the community recalled family memories. We have a research group which is researching the identities of the names on the Cenotaph, the end result of which will be a Book of Remembrance. In St Mary’s Church also, we developed an art installation: a field of poppies represented by candles, each painted with a poppy and each bearing the name of one of Pembroke’s WW1 Fallen Heroes. We worked with the VC Gallery, Pembroke Dock, where during a community workshop 97 candles were decorated with poppies. 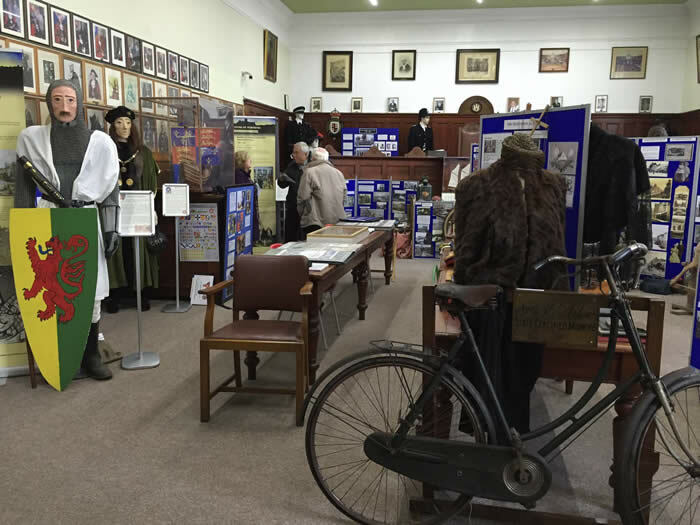 In St Mary’s Church we also assembled a WW1 exhibition which ran throughout the summer and autumn. It is important that we have shone a torch into a period in our past about which we had very little information locally – and this underlines the importance of the work we do. I very much feel that in commemorating the Fallen, we should remember the present casualties of war: accordingly we took part in the ‘There but not there Tommy’ campaign, raising £750 to install a 6 foot silhouette outside St Mary’s Church. Our big project this year is a statue to William Marshal. This Society holds a big reserve – most of it is money held on trust, assets from Wales Community CIC which wound up and stipulated that at least £20k was to be for the next statue (having been impressed by the Henry VII statue). We commissioned Harriet Addyman, Henry’s sculptor, to undertake the work and, on February 2nd, she presented her maquette at a public meeting in the Town Hall. We had a great response and raised £303 that morning to kick off the fundraising appeal. 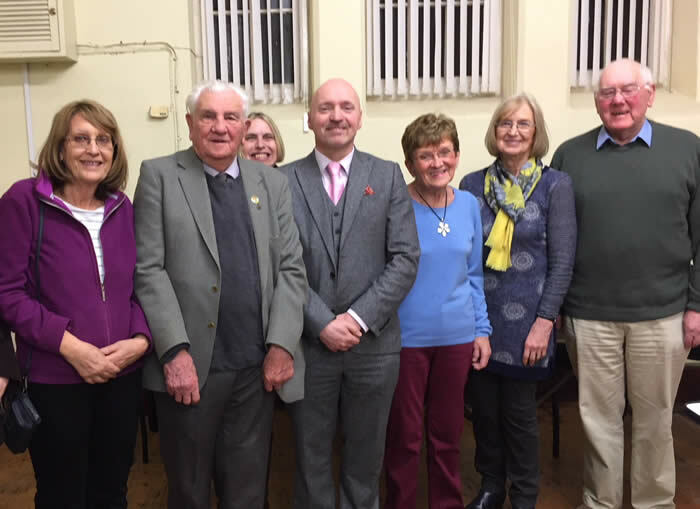 We are working with Pembroke Town Council, which has adopted the project and it is hoped that other community groups will join in, as before to help raise the money. This is an ambitious statue – a life size figure seated on a horse - and it will mean that we will have to raise in the region of £35,000. I have begun an online donation appeal in the hope that, being a big national figure, it will attract donations. The Museum continues to develop and has attracted around 4.000 visitors this summer. As with previous years, we have made alterations to accommodate many new artefacts donated and we hope to re-open for the February half term. Of special note is an extremely generous donation from Mr and Mrs St John Stimpson who have given us a valuable collection of engravings, postcards and books. The Museum has been a real success story. We set out in 2013 with nothing at all but we have developed several valuable collections. The Town Council have provided accommodation in the Town Hall, but otherwise we are entirely self sufficient – no funding or grants. Above all, a big thank you to our band of volunteers who have committed their time to keeping the doors open. Important in the year of the Society is our Programme of Events - Saturday morning Local History Coffee Mornings as well as evening talks and are held both in the Town Hall and Monkton Church Hall. Guest speakers George Palmer, David James, Ted Goddard, Simon Hancock, Keith Johnson, Terry John provided a varied and interesting programme. For the first time ever we had to cancel our St David’s talk due to snow last March – Edward Perkins who was due to speak will try again next March! Evening talks alternate with the Quiz Nights & buffets which continue to be popular. A lot of work goes into these events which raise funds for the Society and I should like to thank a hard working committee. Working in the community and supporting local events is also important. We have organised displays and participated in many local events: with St Mary’s Church Flower Festival, Planed, PCNP Archaeology day at Pembs College, Pembroke Show, Stackpole Flower Festival, Pembroke River Rally, MOROL Annual Conference in Pater Hall, Pembroke Castle’s Christmas Market as well as changing displays in the window of Brown’s Café. 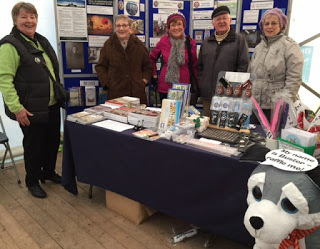 Further afield, Stuart and I participated in the Medieval Fair at Bosworth Battlefield Heritage Centre. We began a publishing enterprise following the publication of ‘Through My Eyes’ – for this we had a grant and money raised was kept in a fund to publish local books. In September we published our third book – Hancock’s Shipbuilding Company in Pembroke Dock’ by David James. We held a book launch in Hancock’s Yard which was well very attended and resulted in the sale of no less than 105 books. Sales have been strong since. I have to report that we are now embarking on our fourth publication – the memoirs of WW2 veteran, Ted Owens. I am hoping too to be publishing a book on our WW1 project – still in the process of putting it all together but hope to do so in the next few months. When I look back over the years, we have achieved a great deal as a History Society and this is due to the support we receive from the community and to a very hard working committee and band of volunteers. We are also indebted to the support of other organisations – in particular WWMHS, PCT and above all PTC which I work closely with as part of the Regeneration Committee with Pembroke Town Clerk Suzie Thomas. Thank you to all.